Listed below are our currently available Education Workshops. 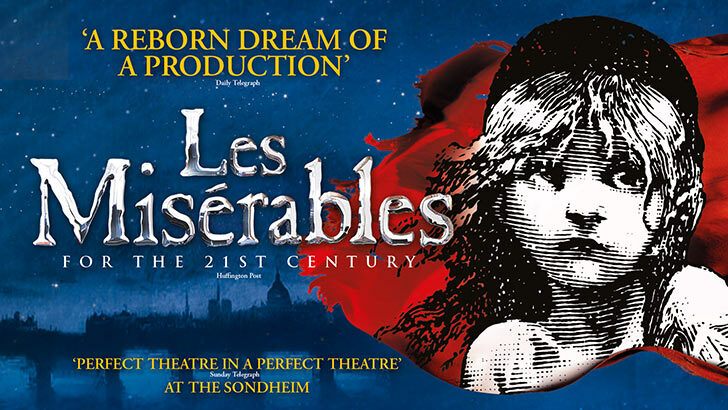 Whether you are looking for a lively and absorbing practical workshop for LES MISÉRABLES, MAMMA MIA! 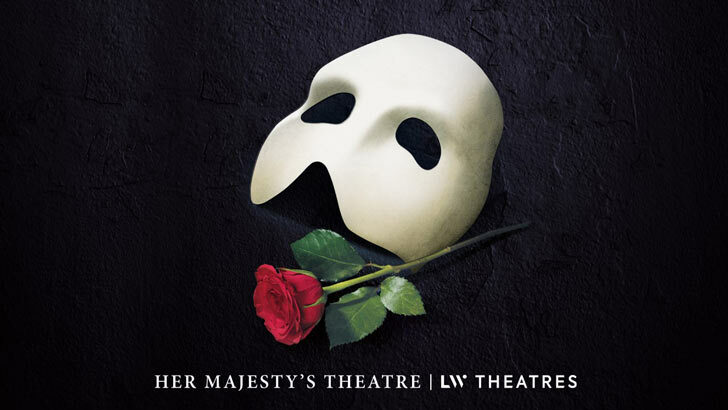 or an engaging post show talk for THE PHANTOM OF THE OPERA our Education Department can help you get the most from your school's visit to the theatre. Please contact the Education Department for further information and to book Education Workshops. "Thank you guys so much for offering this program to students. Most, if not all of my students, are not humanities/theatre/arts majors, so I never know how they will accept a program like this. However, in the years that I've been doing the Les Miz workshop, it has never failed to make an impact with my students - and then when we see the show, the end result in most cases is new lifelong theatre and arts lovers. It's a great win-win." Spend an hour discovering what goes on behind the scenes. The backstage tour gives you an insight into the history of the musical and stagecraft used during the performance. You will also have the opportunity to handle and try on costumes from the show. This practical workshop enables participants to understand more about the historic context of the production and encourages them to develop performance skills. The workshop outlines rehearsal techniques used by the directors Trevor Nunn and John Caird in this award winning musical using trust games to create a sense of ensemble. Extracts from the original novel are used for physical character work. Plot and characters are explored through narration, tableau, thought tracking, mime and choreography, culminating in the group staging a human barricade to a key song from the show. The workshop takes place on Wednesday prior to the matinee at 10.00am, 11.00am and 12.00pm. Other dates and times may be possible upon request. An education pack is available on request. This workshops starts with a discussion about singing in different genres. There is a vocal warm up using techniques that are used by the cast of LES MISÉRABLES, followed by exercises about the use of text and its relationship with the music, timing and singing at the same time. The group will learn to sing a song from the show in harmony, and then put together a short ensemble scene from the production, perfoming "At the End of the Day". The Choral Workshop takes place on Wednesday prior to the matinee at 10.00am, 11.00am and 12.00pm. Other dates and times may be possible upon request. 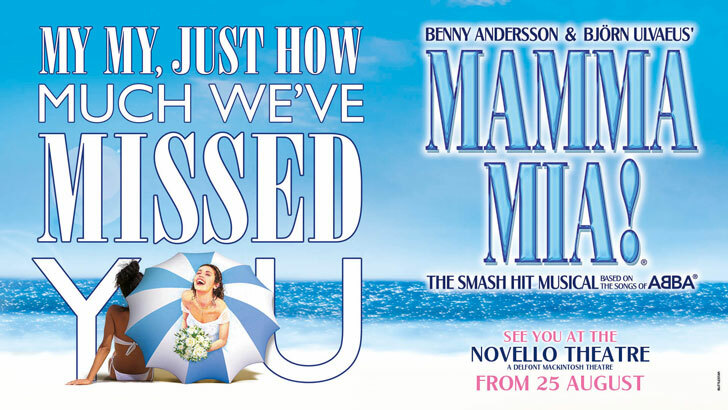 A workshop that will engage any student in the smash hit production MAMMA MIA! Guaranteed to be an affirming experience for all - Contact the Education Office for further information. Workshop: £8.50 per person - Running time 1 hour. This workshop focuses on the style of acting needed in this spectacular musical. It explores different ways of working with body language and mime to create character, performing with masks and portraying larger-than-life emotions on stage such as the ones used in the Masquerade Ball at the beginning of act 2. The plot of the show is animated using titles and image work with costumes. Emotion memory exercises are also used as a way of understanding approaches to acting. The workshop takes place on Thursday prior to the matinee at 10.00am, 11.00am and 12.00pm. Other dates and times may be possible upon request. The Phantom's Lair allows students to view the fascinating stage re-set of THE PHANTOM OF THE OPERA and take part in a question and answer with a company or crew member afterwards; giving an insight into the stagecraft used during the performance and some tricks of the trade. These events take place on Thursday after the matinee at 5.15pm. For further information on group bookings and other services available, please contact us via the details below. Opening Hours: Monday to Friday 9.00am - 6.00pm. For further information on the Education Department's work at Delfont Mackintosh Theatres, please contact us via the details below.